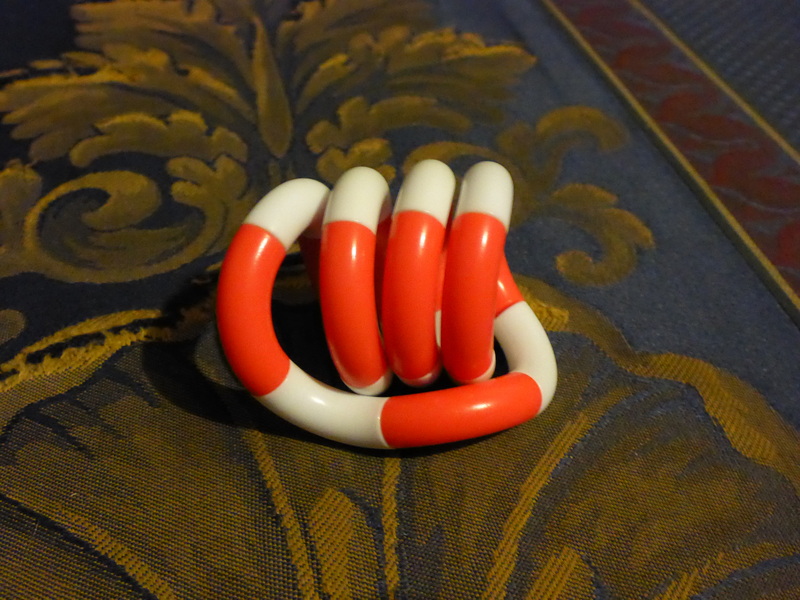 Today I wanted to do a post about my collection of Tangle Jr items. 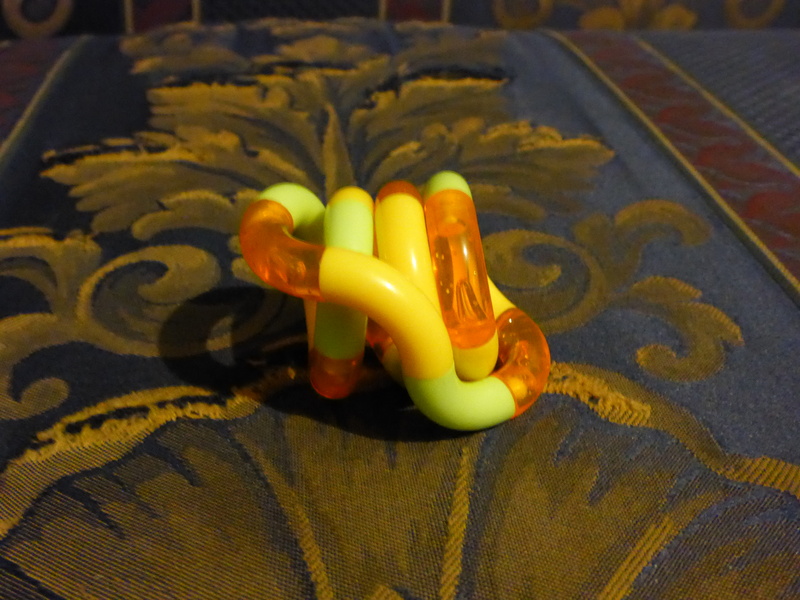 The first Tangle Jr I’ve ever possessed is the yellow-green-and-transparent-orange Tangle Jr, which was a gift from K.A. 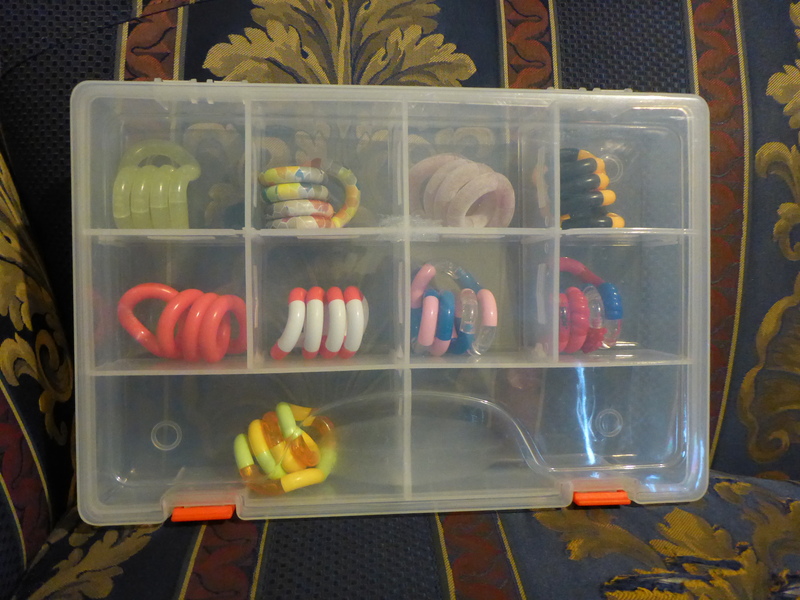 @ Stim Toy Box, as are a few others in the Tangle Jr collection. I know it’s a small collection at this stage, however, I know it’ll grow over time. Image Description: The background of the image is a navy blue couch with an alternating pattern of dark yellow fleur-de-lis pattern and a maroon red pattern. In the foreground is a plastic storage container with 8 square compartments and 2 rectangle compartments down the bottom of the container. 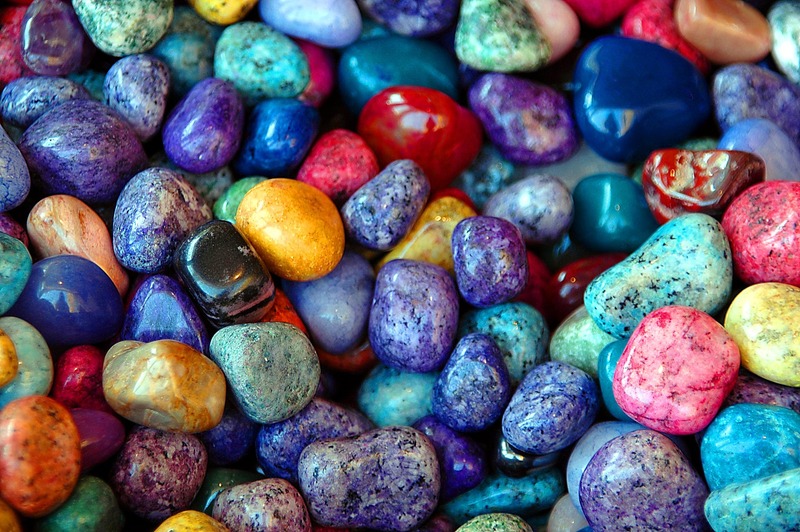 In the square compartments, there are different kinds of Tangles stored inside them. Starting from the top left to right: glow in the dark Tangle Jr, Artist’s Collection Knock Off Tangle Jr, fuzzy pink Tangle, and a black-and-orange Tangle Jr. From bottom left to right, a solid pink Tangle Jr, a pink-and-white Tangle Jr, pink-transparent-and-blue smooth Tangle Jr, and a red-pink-blue-and transparent textured Tangle Jr. In the rectangle down the bottom (on the left) is a yellow-green-and-transparent-orange Tangle Jr. Image Description: A green, yellow and orange Tangle Jr all coiled up on top of a couch cushion, which is navy blue with a gold-coloured fleur-de-lis pattern printed on it. 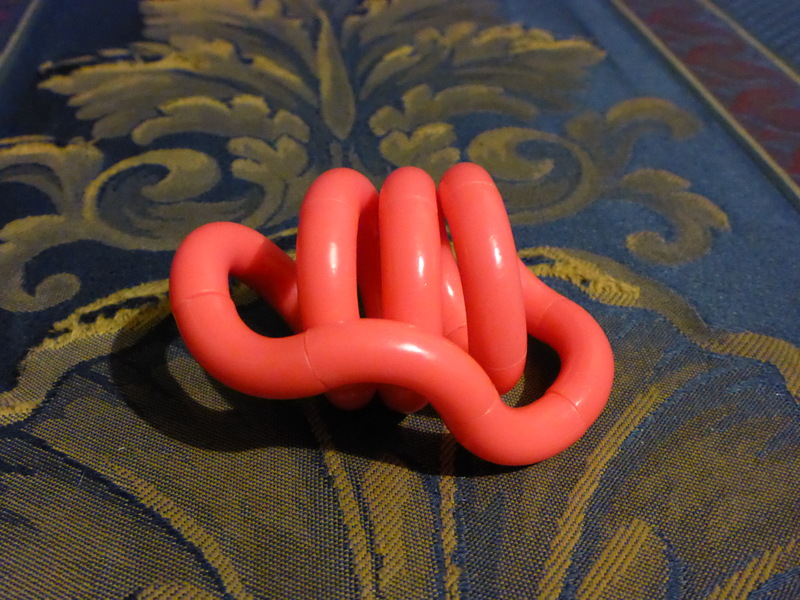 Image Description: a solid pink Tangle Jr all coiled up on top of a couch cushion, which is navy blue with a gold-coloured fleur-de-lis pattern printed on it. 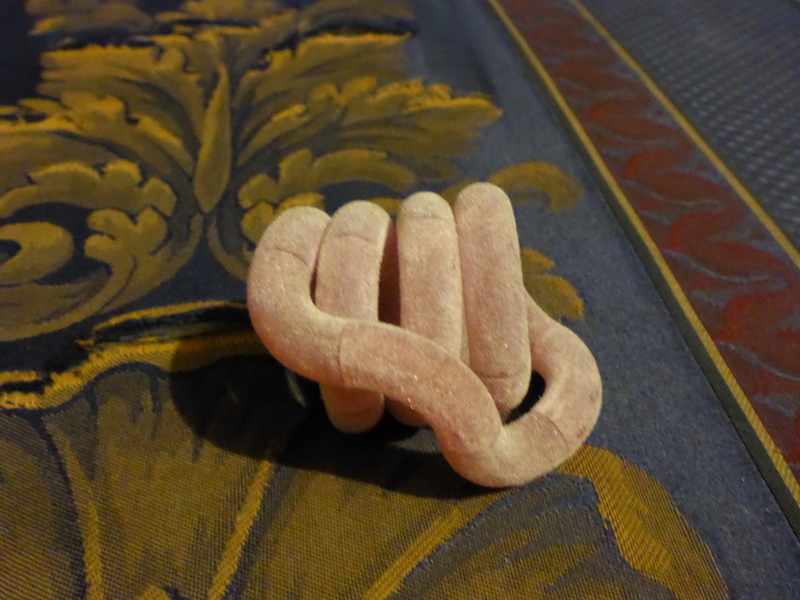 Image Description: a pink and white Tangle Jr all coiled up on top of a couch cushion, which is navy blue with a gold-coloured fleur-de-lis pattern printed on it. 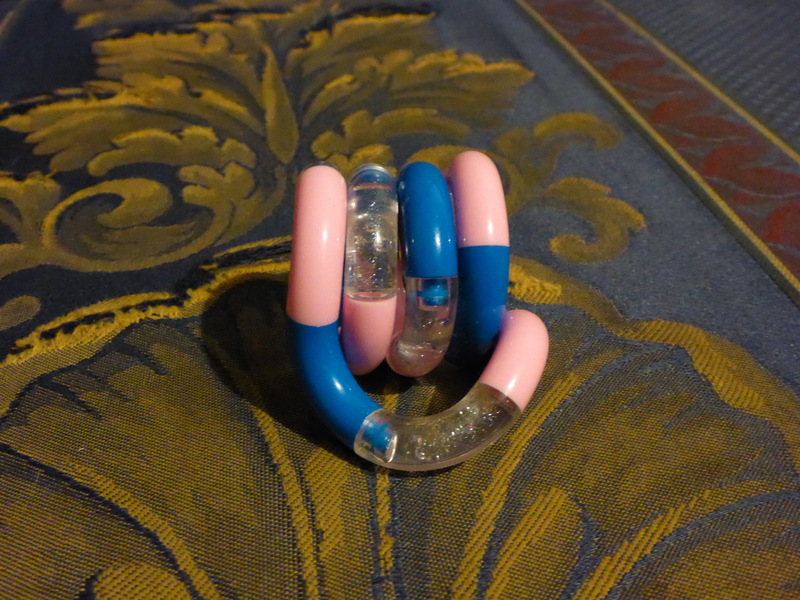 Image Description: a pink-blue-clear smooth Tangle Jr coiled up on top of a couch cushion, which is navy blue with a gold-coloured fleur-de-lis pattern printed on it. 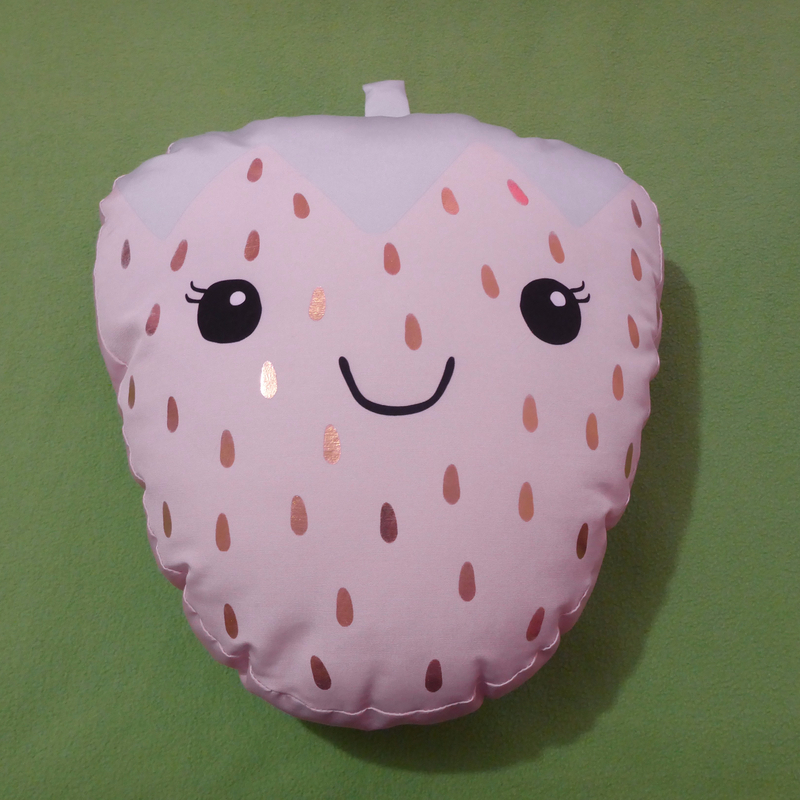 Image Description: a red-pink-blue-clear textured Tangle Jr curled up on top of a couch cushion, which is navy blue with a gold-coloured fleur-de-lis pattern printed on it. 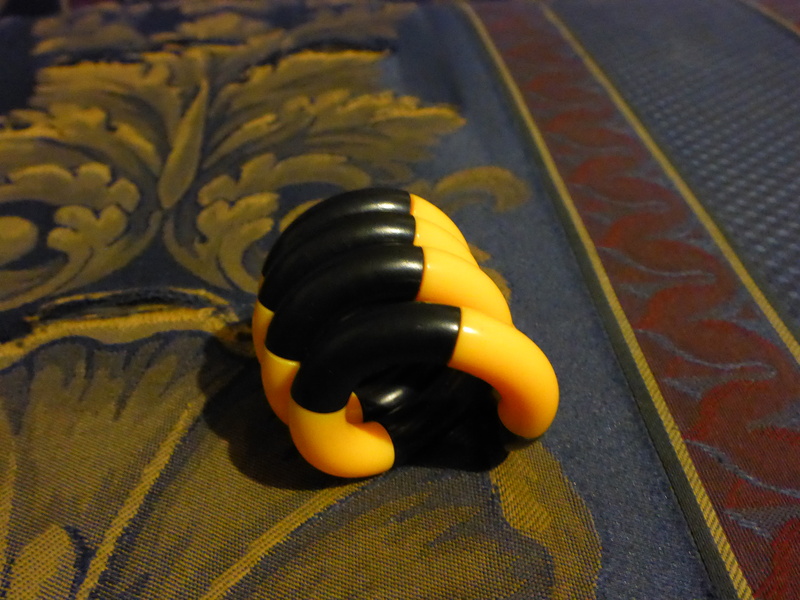 Image Description: a black and orange Tangle Jr all coiled up on top of a couch cushion, which is navy blue with a gold-coloured fleur-de-lis pattern printed on it. Image Description: a rose-pink Fuzzy Tangle Jr curled up on top of a couch cushion, which is navy blue with a gold-coloured fleur-de-lis pattern printed on it. Image Description: a picture of a Tangle Jr all coiled up on top of a couch cushion, which is navy blue with a gold-coloured fleur-de-lis pattern printed on it. 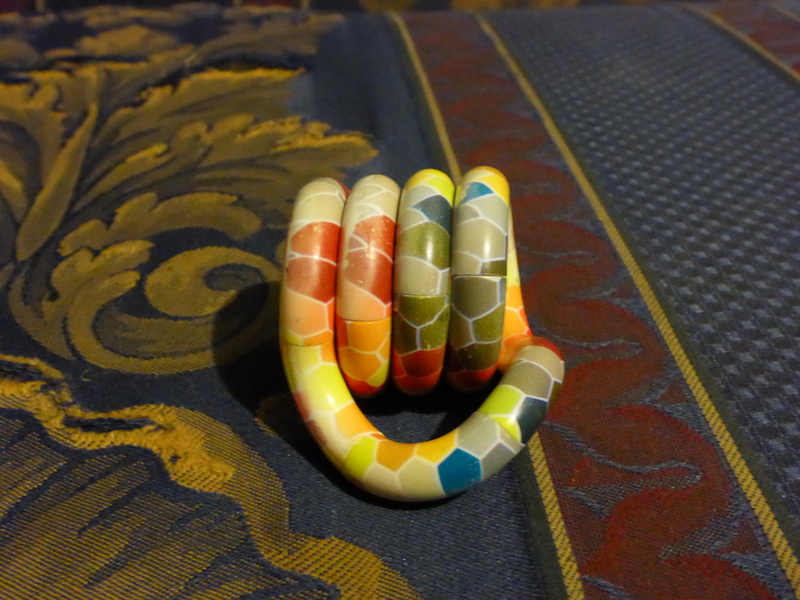 The Tangle JR has a hexagon pattern all over it, and the hexagons are coloured in a rainbow spectrum on one side (red-orange-yellow-blue-green and then a small selection of grey hexagons). 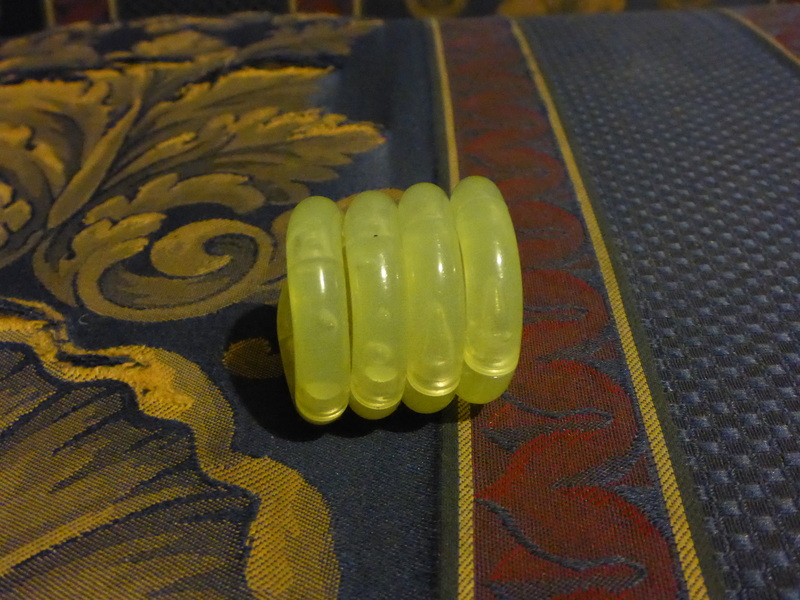 Image Description: a Glow In The Dark Tangle made of transparent yellow plastic coiled up together on top of a couch cushion, which is navy blue with a gold-coloured fleur-de-lis pattern printed on it. So, that’s my collection, if you’d like to leave a comment down below, or leave a link to your own collection, please feel free to do so.